Any kind of long-winded tribute I could come up with just wouldn't suffice, but I will say that I have been a hardcord Rush listener for at least 8 years (Rush Baby before that), a Rush 24/7 member for at least 2 years and I am lucky enough to be able to listen to him at work. 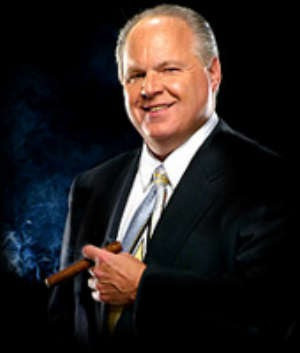 Rush Limbaugh is the greatest living conservative, along with being a lovable little fuzzball. I thank him for his 20 years of broadcast excellence and wish him 20+ more! I dunno if I could live without Rush Limbug. Who could I hate instead?